52 Quilts in 52 Weeks: She's a Winner! 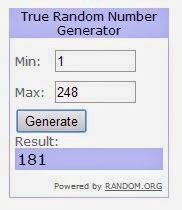 Tore myself away from finishing the Farmer's Wife quilt long enough to gin up a giveaway winner via Random.org. Barb, I'll send you an email in just a minute to ask for your postal address. 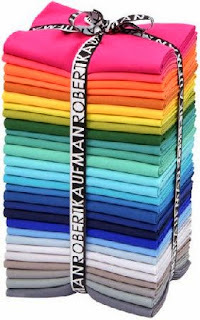 Congratulations, and thanks for following 52 Quilts in 52 Weeks! And now, back to the final border on the Farmer's Wife! Wow, I am absolutely stunned and excited! Wohooo, thank you soooo much! What a fantastic price - and what a way to start Memorial Day weekend! Thank you, thank you, thank you! Lucky lucky Barb - Congratulations Barb!! !